Television audiences are sure to have come across Ina Weisse in episodes of the TATORT or POLIZEIRUF crime series or the award-winning TV film THE END OF A NIGHT, which garnered her a German Television Award, Grimme Prize and Günter Rohrbach Award for her acting performances. In addition, she has appeared in numerous German feature films over more than 20 years, from REAL GUYS through SAMS IN DANGER to NOTHING BUT GHOSTS and, most recently, Florian Henckel von Donnersmarck’s latest film, WORK WITHOUT AUTHOR. But what many cinema-goers and TV viewers might not be aware of is that Ina Weisse has cultivated another string to her bow as a screenwriter and director with a handful of shorts, the debut feature THE ARCHITECT, a documentary on the Neue Nationalgalerie, and a second feature – DAS VORSPIEL – set to go into production this autumn. So, at the tender age of 18, she applied and was accepted for a place at the highly respected Otto Falkenburg drama school in Munich. After graduation, Weisse then appeared on stage in the Bavarian capital’s Kammerspiele and as a permanent member of the theater company at the Nationaltheater in Mannheim. But, Weisse admits that at some point she felt confined by being part of a theater company’s ensemble and decided to quit to study Philosophy at the University of Heidelberg. Since then, she has never returned to act on the stage and has instead concentrated her work as an actor on roles for film and television. Meanwhile, her aspirations to become a director behind the camera came one step further when she was accepted for the Directing course at the University of Hamburg under the direction of filmmaker Hark Bohm in 2000. “Indeed, Weisse made an impact with her graduation film ALLES ANDERS – “about identity and betrayal“ – which won the First Steps Award in 2002. And it was this film which caught the attention of Wim Wenders who recommended Weisse as a highly pro­mising talent to his then partner at Reverse Angle Pictures, Peter Schwarzkopff, to work together on her feature debut. 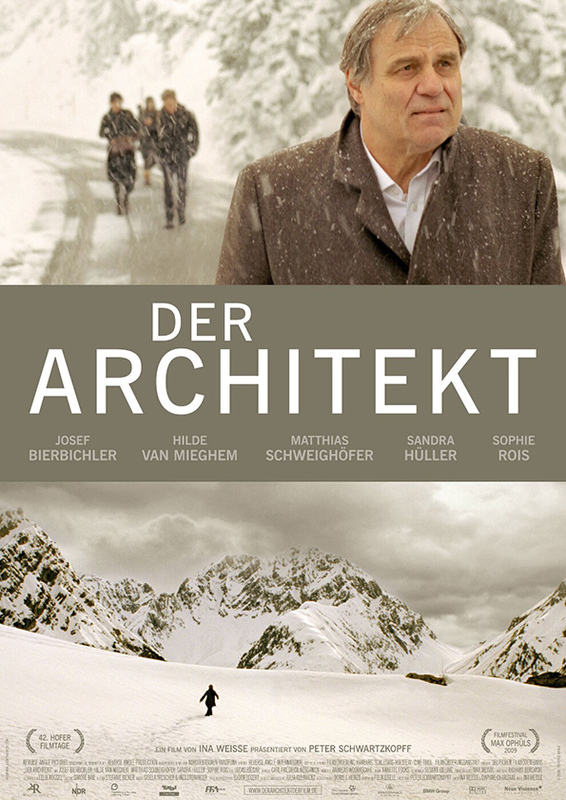 The result in 2008 was THE ARCHITECT which premiered at the Hof International Film Festival that autumn and was screened the following year at the Filmfestival Max Ophüls Preis in Saarbrücken and in the German Cinema sidebar at the Berlinale. Weisse succeeded in attracting an impressive line-up for the cast with Bavarian actor Josef Bierbichler as the title character, with Belgian actress Hilde van Mieghem as his wife, Sophie Rois as a former flame, and Sandra Hüller and Matthias Schweighöfer playing the couple’s grown-up children. In fact, the collaboration went so well between Weisse and Charizani that they have been working together on her second feature film project, DAS VORSPIEL, which will see Nina Hoss cast as a violin teacher in conflict with her profession. DAS VORSPIEL is being produced by the up-and-coming producer Felix von Boehm’s Berlin/Heidelberg-based company Lupa Film, whose recent credits include Karim Ainouz’s award-winning documentary CENTRAL AIRPORT THF and Joya Thome’s debut THE QUEEN OF NIENDORF. 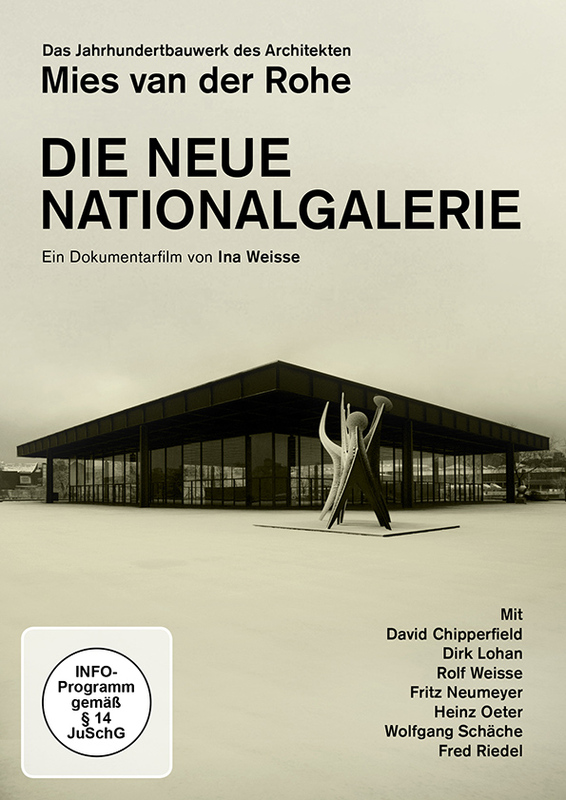 Weisse had previously worked with von Boehm, who is the son of the TV presenter Gero von Boehm, on her documentary DIE NEUE NATIONALGALERIE which included interviews with her father Rolf Weisse, who had worked at the office of Mies van der Rohe in Chicago during the planning of the art gallery in the 1960s, as well as with van der Rohe’s grandson Dirk Lohan and the architect David Chipperfield, who is overseeing the gallery’s renovation. Raising the finance for the film wasn’t a walk in the park, she admits, but Medienboard Berlin-Brandenburg, the FFA-CNC „Mini-traité“ and broadcaster ZDF are already onboard, and other partners are now likely to follow to close the financing so that principal photography can begin this October in Berlin.